The Joe New team with Cherry Creek Mortgage is one of the Fort Worth mortgage lenders who truly cares about our clients. We are a “winning team” in the real estate and lender arena. With over 15 years as a Mortgage Loan Officer and manager, Joe has the experience to help you make solid long and short-term decisions when taking one of the biggest financial steps of your life to invest in real estate. 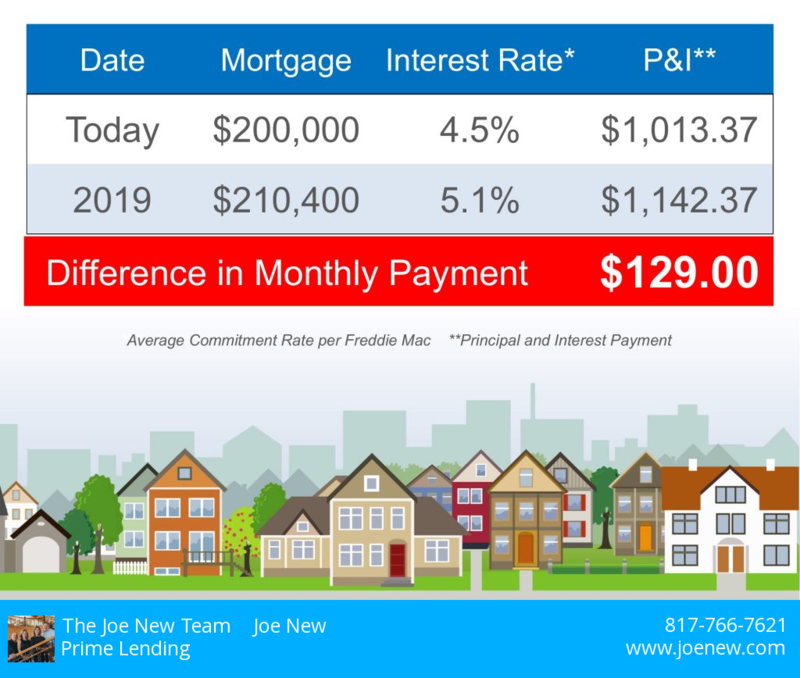 The entire Joe New team strives to make your home-buying experience a positive one and takes their role seriously in making your dream a reality while getting you the best deal possible. Investing in and creating a cooperative and collaborative relationship between our team, real estate and builder partners (along with the borrower, of course!) enables clients to understand the process from beginning to end. 99.9% of our clients end up with a mortgage loan because we offer a such an extensive collection of lending products. We can guarantee that we can meet virtually everyone’s needs. We take care of the details for you – overseeing the application process, the gathering of documents – from preapprovals right through to the closing process. The ease of going through this important life event with us makes your buying experience smooth and seamless. Conventional Conforming Loans such as Fannie Mae and Freddie Mac loans have high balance limits. Unlike other lenders, The Joe New Team will help you choose the product that suits you best from these agencies. Jumbo Mortgages require a larger loan than the high-balance limitations set by the government. Joe and his team can help navigate this complex type of loan and will work to get you the best rates. FHA Loans are government-backed loans that require smaller down payments and are good for those borrowers with lower credit scores. VA Home Loans are loans that (when qualifications are met) can provide a loan to veterans without requiring them to put any of their own money down. Joe and his team can also assist you with Renovation Loans for small and large-scale projects. Finally, if you don’t fit into any of the conventional loans listed above, we can help find a unique loan vehicle to put you in a home of your own. The entire Joe New team works in unison to help you understand that when purchasing real estate and applying for a loan or mortgage, you’re applying for leverage to use someone else’s capital to make that purchase. You can deduct mortgage interest and property taxes when filing your annual income tax. The equity in your home then increases if the value of your property goes up. If this happens, you add to your principal investment. This can result in an increase in your lifetime wealth. In the past two years, the real estate market has gone through a big recovery. Buyers have surpassed sellers for the first time in a long time! Homeowners have seen a rapid appreciation in their property value. These gains have helped greatly in restoring home equity. Home values are projected to increase by 3.2% in 2018/2019 and by 3.1% in 2020. Combined with the increase in appreciation rates from the previous two years (2016/2017), appreciations rates are projected to average 3.3% over the next five years. Don’t wait to increase your financial wealth and well-being! Owning real estate and/or a home is one of the best and most rock-solid ways to increase your wealth over your lifetime. Call the Joe New team today and start working with a reliable and knowledgeable team on your mission to become a homeowner.